Are you looking for economical, clean, friendly lodging while in beautiful Haines, Alaska? 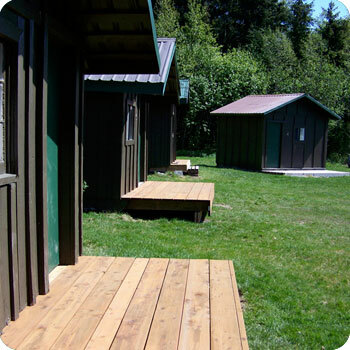 Look no further than Bear Creek Cabins and Hostel. Come visit us and enjoy a piece of Alaska! 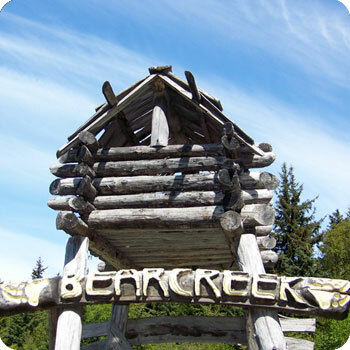 Bear Creek Cabins and Hostel in Haines Alaska is near the trailheads for two great hikes (Mt Riley and Mt Ripinski). Visit with people from around the world. Spend the day visiting downtown Haines. Fish the Chilkat and Chilkoot rivers with Chilkoot Lake Tours. Bear Creek Cabins and Hostel is also close to the shores of the Chilkat Inlet and the gorgeous hanging Rainbow glacier. Visit picturesque Skagway for the day on the Haines-Skagway Fast Ferry. Groups welcome: Schools, Sports Teams, Associations. Available as a group retreat.